Workshops and marketing go together like a good BLT. In this post our friend Andrew Armour, founder and Managing Director of Benchstone Limited UK, shares some of the insights into what makes marketing workshops work. It seems to resonate with our readers and provides useful insights as it made the 20 most read posts in the past six months. I once had a procurement manager ask me if I can benchmark his agency mark-up on their media buy? He thought media agencies bought media and marked it up different amounts for different clients. Media benchmarking (or the euphemistic media audit) is a popular service we provide. This post helped to demystify the media buying process. 18. Why do so many agencies take on revenue at the expense of profit? Nick Hand, Senior Consultant for TrinityP3 is an agency CFO. Soon after joining we were having a conversation about how many in procurement do not believe that some agencies are willing to sacrifice profit to increase revenue. Nick started to explain the reason why agencies may do this and I suggested he write it up as a post, which made it to this list. In the UK and Europe, chemistry sessions during the pitch often take the form of a casual chat. A bit of a get together between the marketers and the agencies. When I explained how we used chemistry sessions to test and challenge the agency relationship, people were interested. As clearly they are interested in this post. Salary costs, billable hours, overhead and profit multiples. Calculating and managing agency cost based remuneration can be confusing and complicated. That is why we developed the TrinityP3 Resource Rate Calculator as a mobile phone app for iOS, Android and Windows Mobile. This post explained the way these all come together. It seems that all information on how to calculate agency fees is popular. This post from early 2011 is similar to the one above written 18 months later. But back then we provided the calculators on our website. The calculators are still there today for those without a mobile phone. But it is interesting that in the past six months these two posts are almost equally popular. 14. The top 10 advertising jingles of the century? Music is always popular. And the best advertising jingles are always catchy. Written three years ago, this post is on the most popular jingles in the USA from Forbes and then another list from AdAge.com plus the top jingles from the Australian Federation of Advertising top 50 commercials of all time. Worth checking out if you love a good advertising jingle. TrinityP3 has been implementing a content strategy since 2006, so it was timely that Anton Buchner, TrinityP3 Senior Consultant, shared the results of the first survey on Content Marketing from ADMA and the Content Marketing Institute in this post. The findings were interesting and clearly popular in the three months since it was published. With the pressure on marketing budgets and an increased demand for content, marketers are looking for ways to make their production budgets go further. More than a decade after this trend started in the UK, local marketers are looking to unbundle, decouple and off-shore production. In the past 3 months, many marketers have read this post. There is a lot of talk about storytelling. And there is no more qualified to discuss storytelling than the team at Anecdote. In this post, Anecdote Founding Partner, Shawn Callahan shares a personal story on how to tell a story about yourself without sounding like an ego-maniac in a way that resonated with the TrinityP3 blog readers. Search Engine Optimisation or SEO is an important part of the marketing mix. But in recent times Google has made major improvements to their search algorithms which impact on the way SEO is implemented. Mike Morgan, who is Director of SEO, Content and Social for TrinityP3 and a Partner of High Profile Enterprises, kicked off the year with this update on current best practice in SEO. Looking at media agency remuneration, most marketers think that traditional and digital media planning and buying is largely the same process. 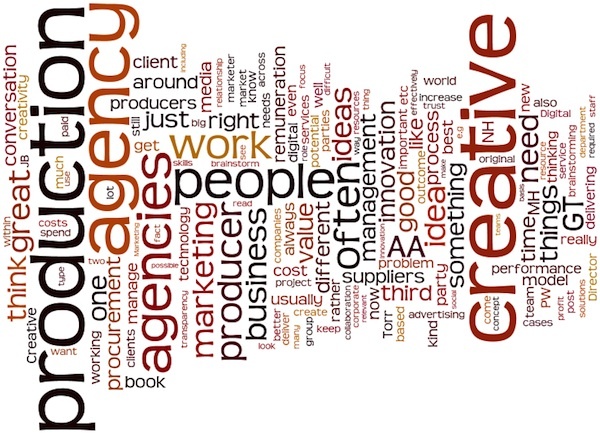 After all, the agency is often paid the same way for both. In this post we provided the fundamental differences between the two. But of course this will need to be updated soon to include programmatic buying and real time bidding. 8. Do you want a digital agency or a technology partner? Following a presentation I gave at the AIMIA V21 Digital Summit in Melbourne last November, there was an opportunity to reflect on the distinctions we had noted between the need for a digital agency and a technology partner. This post followed on from sharing the original presentation on Slideshare which has been widely read with almost 5000 views. We are often asked to determine if agency remuneration is too high. But too high compared to what? The level and mix of resource provided? Or the the level of resources required to deliver the scope of work? This post provides the relationship between scope of work and the level and mix of resources and the associated costs. And why that is so important. Content marketing is a hot topic. In the past six months there have been two major research reports released and countless articles. But for all this focus many marketers are still making big mistakes when it comes to their content marketing strategy and implementation as Mike Morgan, Director of Content, SEO and Social for TrinityP3, points out in this post. TrinityP3 is a founding member of the Marketing FIRST Forum, a global collective of marketing consultants. This post by Stephan Argent, Founder and President of Argedia Group in Canada (and Marketing FIRST Forum member) is about the need for new metrics in digital marketing and it gained a significant following and readership. Each year for the past three years I have been invited by Simone Puterman, Managing Editor and Editor at Large for BizCommunity in South Africa to contribute to their trends edition each year. Although 18 months old, this post had huge readership in the past six months. Most likely, many were checking how accurate the predictions were. This year’s predictions for BizCommunity had as many readers on the TrinityP3 blog in the first six months as last year’s predictions did during the same time. Writing trends and predictions is an interesting process that requires a combination of identifying and reviewing the trends of the past year and projecting and predicting which of those will dominate in the immediate future. The penultimate most popular post of the first six months of this year was about the largest single area of investment for most marketers – media. Together with Denise Shrivell of MediaScope, we undertook industry research into the issues and challenges facing the media industry across media owners, media agencies and advertisers. The results were presented at the Mumbrella360 in June this year. At more than twice the readership of the second most popular post, the concept of a social media expert proved to be the most popular (and controversial) post topic so far in 2013. The fact is that many people get stuck on the flaws of the various models of measuring social influence. But the point I was making was that rather than just taking advice on face value, it is always worth checking the validity or qualification of the source of that advice. Especially in a category that is constantly evolving and changing. So what is coming in the six months ahead? 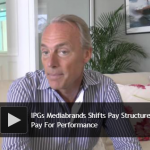 There is a renewed focus on value and performance based agency remuneration. But marketers are also looking at unbundling or decoupling their production as technology is providing more options. And digital advertising is clearly no-longer new media, but along with social media , many advertisers and their agencies are still struggling with the best way to integrate this into their marketing. And data is offering the promise of greater effectiveness, but providing its own unique challenges. What are your thoughts on what the next six months will hold? Leave a comment to share your views.